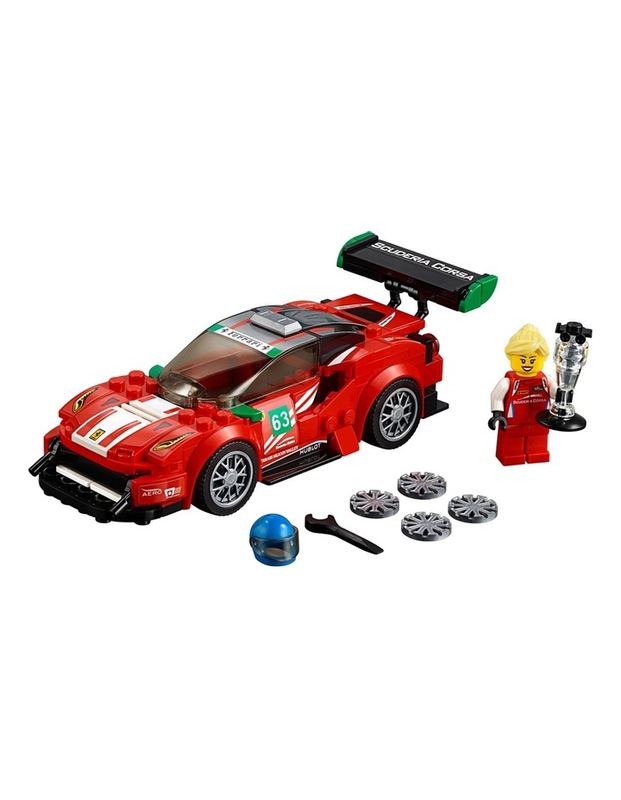 Includes a Ferrari Scuderia Corsa racing driver minifigure. 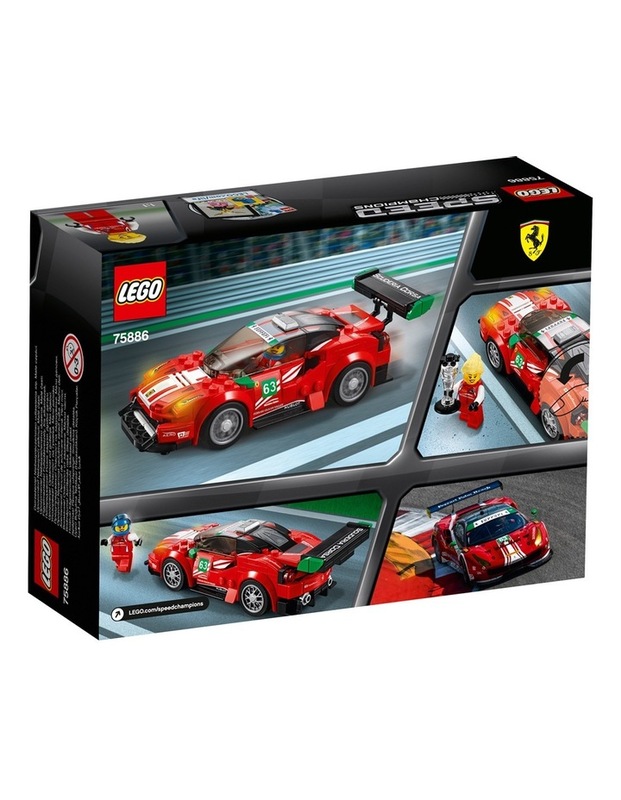 The race-ready, buildable Ferrari 488 GT3 Scuderia Corsa features a minifigure cockpit with removable windshield, wheels with rubber tires, authentic design details, racing colors and race-graphics stickers. Remove the windshield to place the minifigure in the car. Includes a trophy element. Also includes the Ferrari racing driver's helmet. This construction toy is suitable for ages 7-14. 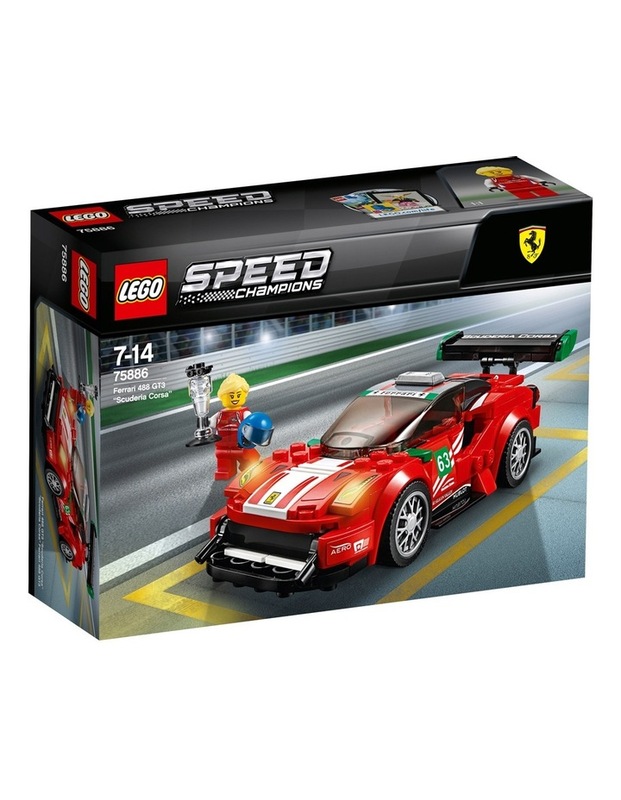 Ferrari 488 GT3 Scuderia Corsa measures over 1 (5cm) high, 6 (17cm) long and 2 (6cm) wide. Trophy measures over 1 (3cm) high. 179 Pieces.